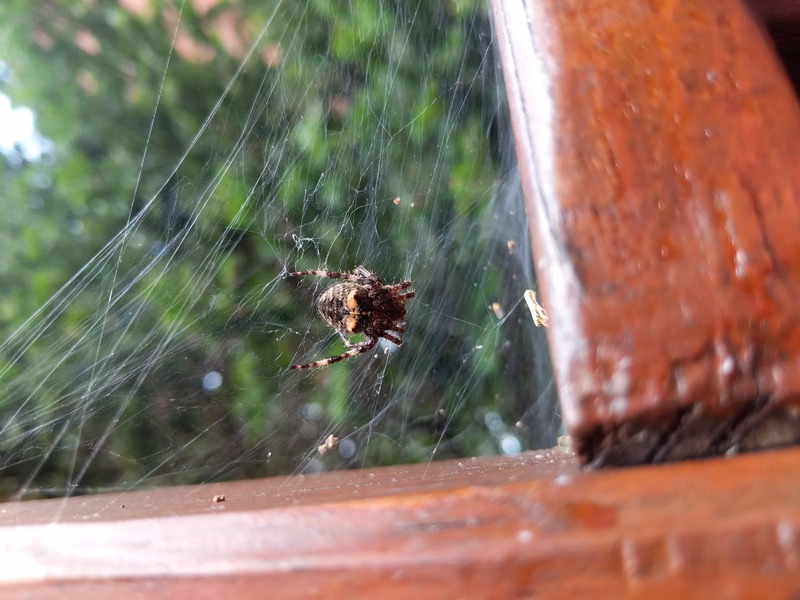 From the ventral side it looks like a starbellied orbweaver, Acanthepeira stelata. The dorsal (back) surface of the spider should have pointy studs all over it, the ventral surface only has two of the bumps. This is the first time I’ve personally seen a photo of one, it’s pretty cool!